For quite some time, I have been observing that a lot of new free operating systems have come up in the market. And let me tell you that these all are looking really amazing and not just crap. These have been developed by some enthusiastic individuals and corporates. These packages have seen so much changes and enhancements that even Bill Gates must have started loosing his hair. 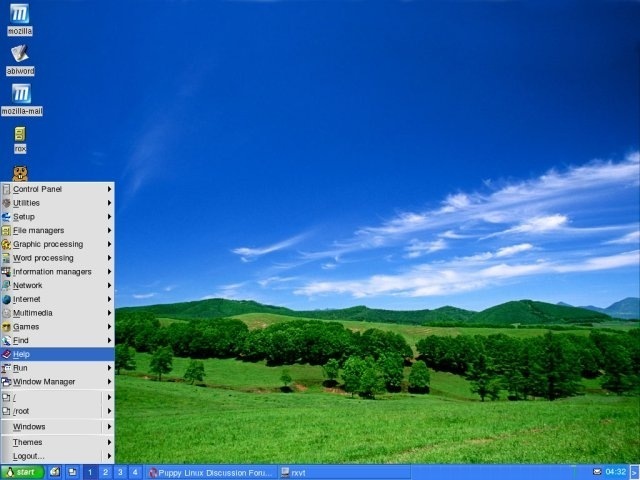 No doubt that window remains the top preferred OS, mainly because of its deep penetration to each of our personal computers that it is difficult to believe that something can be better or even as friendly as windows. These psychological barriers have helped windows to dominate the market for so long. Most of us think that so called LINUX is some geeky thing with no GUI (Graphical user interface), so it is practically useless for people who do not know how to write commands. But, I have tried a couple of these and I can bet that you won’t be disappointed. It is different and the commands are not where you are used to find them in windows. Hey! come on….are you still using windows 98 or XP? Yes….that is why you are giving such reactions. Try Vista, and I bet this reasoning will at-least not stand valid. Further, remember that these packages have been prepared in last few years. The engineers have well thought about the layouts and they had already seen and worked on windows. They did this to improve and that is why these are more organized. May be they must have goofed up on some things but you should allow them this margin as you always did to Bill Gates. Is it? Why the hell you want to stick to windows? Let it go. Just go for a clean install of Linux without any window based partition. Even if you keep you windows only in a very few OS you will find difficulty in installing the packages. The installer usually starts with simple options with interactive mode and soon it will start in a GUI based mode. So installing is not a problem at all. May be I will provide you with the already content posted on other sites and links for overcoming any small issues you may face. Which is the best alternative for Windows? Well..!! There are many but it depends not on your requirements but your constraints, e.g. hard disk space, RAM, processor etc. a) DesktopBSD: DesktopBSD is a preconfigured operating system that provides the user with a powerful and secure system that is easy to install, configure and utilise from the moment you insert your installation cd. 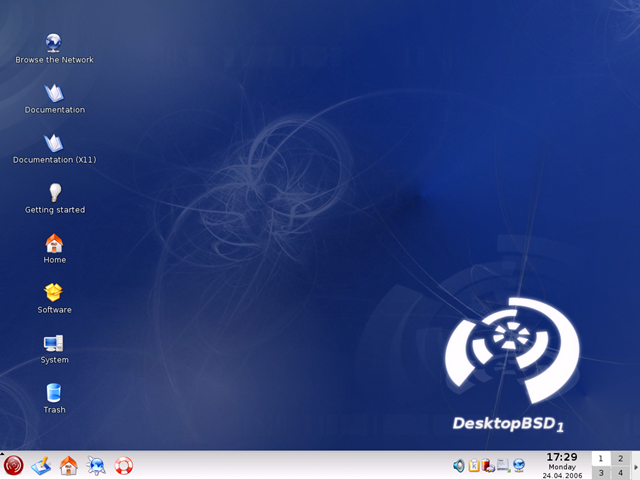 Powered by the latest stable release of FreeBSD, coupled with the popular KDE desktop manager, and an impressive array of specially developed graphical user tools, DesktopBSD aims at being a stable and powerful operating system for desktop users. The OS is having great user response and users have acknowledged the ease with which it can be used. Read more about DesktopBSD to get a more insight. b) Linux Mint: This is yet another master piece. It is based on a Linux based OS called Ubuntu. 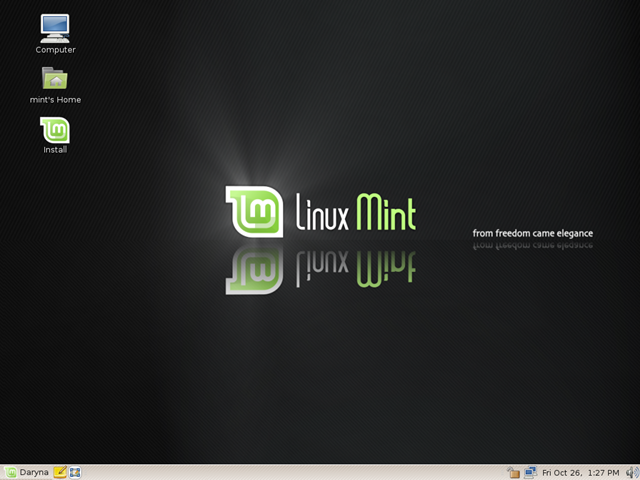 Linux Mint is one of the surprise packages of the past year. 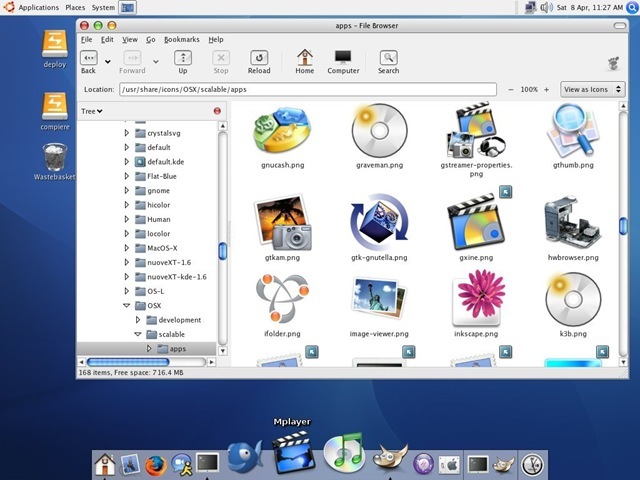 Originally launched as a variant of Ubuntu with integrated media codecs, it has now developed into one of the most user-friendly distributions on the market – complete with a custom desktop and menus, several unique configuration tools, a web-based package installation interface, and a number of different editions. Perhaps most importantly, this is one project where the developers and users are in constant interaction, resulting in dramatic, user-driven improvements with every new release. DistroWatch has spoken to the founder and lead developer of Linux Mint, Clement Lefebvre, about the history of the distribution. c) Ubuntu: Ubuntu is a community developed operating system that is perfect for laptops, desktops and servers. Whether you use it at home, at school or at work Ubuntu contains all the applications you’ll ever need, from word processing and email applications, to web server software and programming tools. Ubuntu is and always will be free of charge. You do not pay any licensing fees. You can download, use and share Ubuntu with your friends, family, school or business for absolutely nothing. A new desktop and server is releases every six months. That means you’ll always have the latest and greatest applications that the open source world has to offer. Ubuntu is designed with security in mind. You get free security updates for at least 18 months on the desktop and server. With the Long Term Support (LTS) version you get three years support on the desktop, and five years on the server. There is no extra fee for the LTS version, we make our very best work available to everyone on the same free terms. Upgrades to new versions of Ubuntu are and always will be free of charge. d) Fedora: Fedora is a ?Linux based operating system that provides users with access to the latest free and open source software, in a stable, secure and easy to manage form. 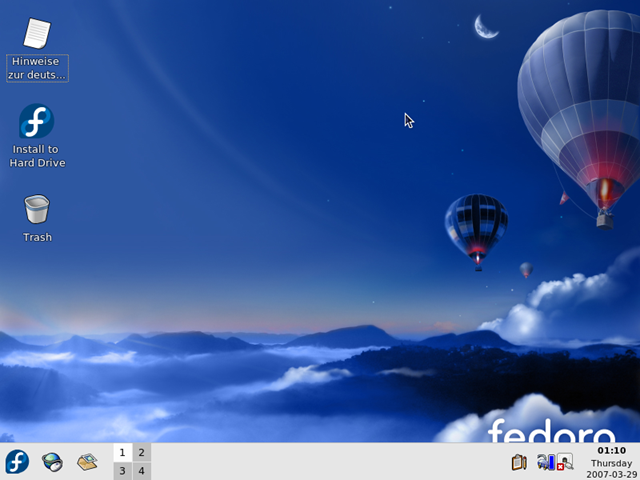 Fedora is a center for innovation in free and open source software, and creates a community where developers and open source enthusiasts come together to advance free and open source software. The Fedora community contributes everything it builds back to the free and open source world and continues to make advances of significance to the broader community, as evidenced by the regular and rapid incorporation of its features into other Linux distributions. Regardless of which Linux distribution you use, you are relying on code developed within the Fedora Project. e) Puppy Linux: Puppy really is small, the live-CD typically being 85MB, yet there really is a complete set of GUI applications. Being so small, Puppy usually loads completely into RAM, which accounts for the incredible speed. You can install it on USB drive itself. It is typically good for old PCs with less space in hard disk and processor. But do not go by its small size. It is fully functional OS with GUI.